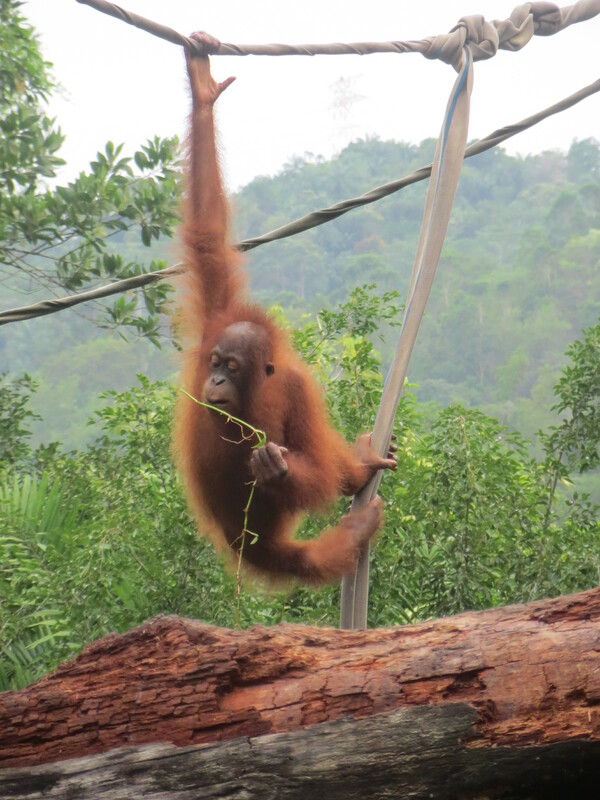 Did you know that Borneo is the one of the most biodiverse places in the world, and that Indonesia and Malaysia share the island of Borneo, also known as East Malaysia? To go to Borneo, we had to take a plane from Kuala Lumpur to Sabah, Borneo. 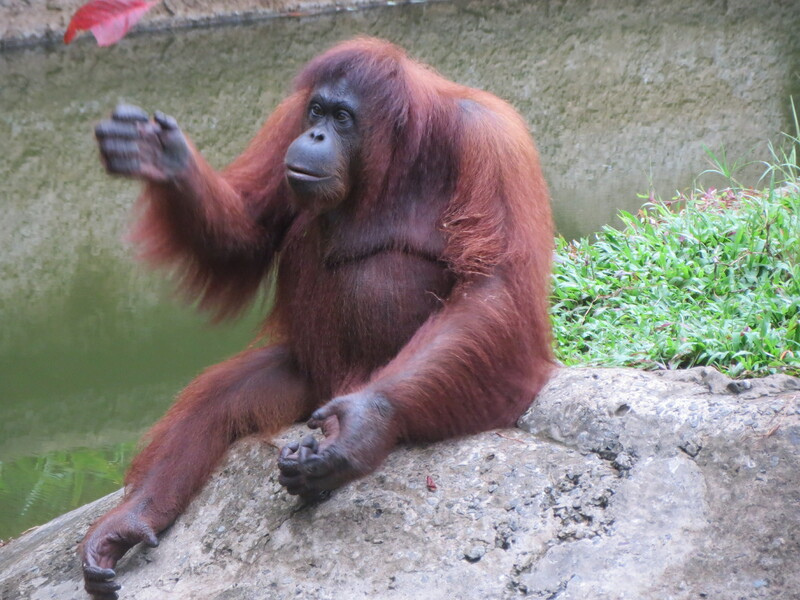 During this trip to Kota Kinabalu, we went to a park called Lok Kawi to see all the beautiful animals of Borneo. 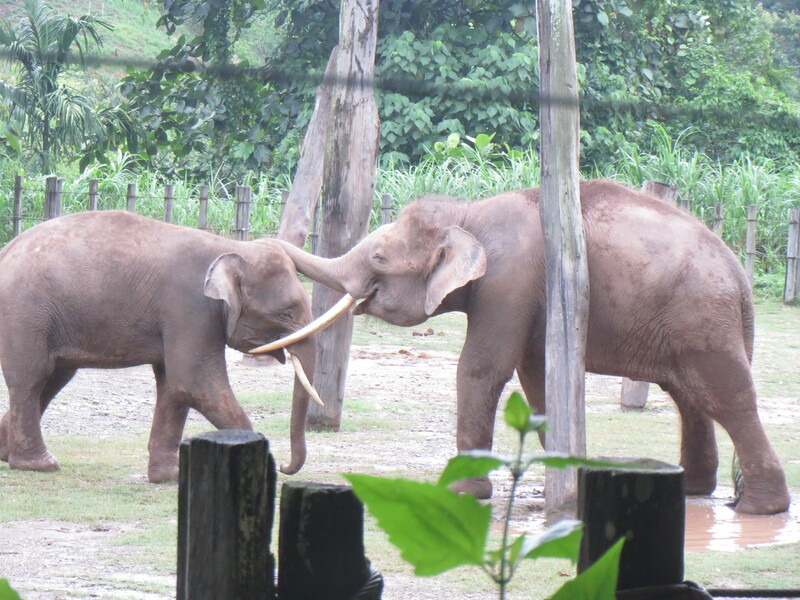 The first animal we visited was the Borneo Pygmy elephant, where a father and son were having a trunk off! Borneo Pygmy elephants are the smallest elephants in the world and are very special to Borneo. They seemed really happy to be in this park, unlike other zoos I have visited where all the animals looked like they wanted to fall asleep all of a sudden. When we had to leave, I felt like the elephants were waving behind my back. Hey dad, let’s have a trunk-off! One out of two! 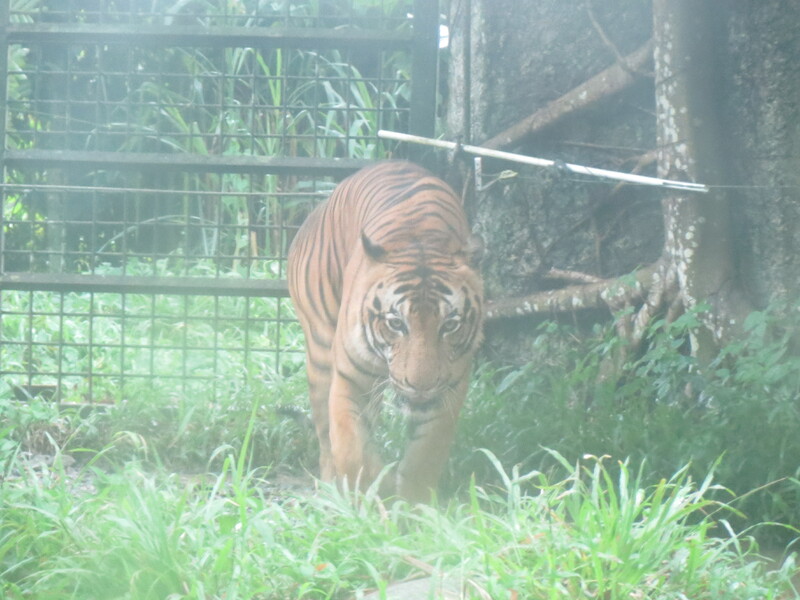 As we turned around the corner, we saw the majestic Malayan Tiger circling his territory. The Malayan tiger habitat had a downstairs room with table and chairs where we could observe him behind a glass enclosure. It felt like that he could jump through the glass at any moment. 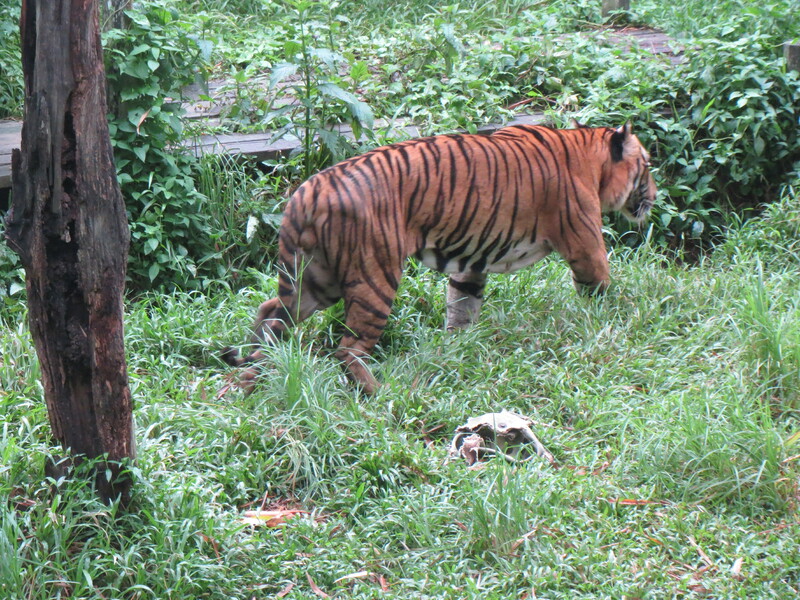 The Malayan tiger went back and forth around his habitat. Another tiger popped out from nowhere, and both of the tigers jumped. I am a Malayan Tiger. Watch me lurk in the shadows! 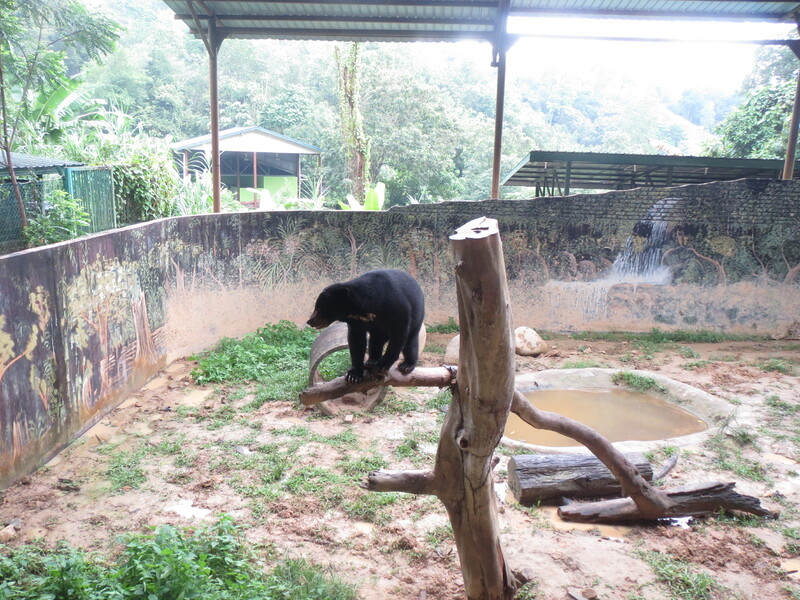 We walked out of the tiger habitat, and up the stairs to the Sun Bear Emporium. They are cute and are very good climbers, and have a V-shaped mark on their chest. Sun bears are nocturnal, which means that they sleep during the morning and are active at night. The Sun bear is also known as the “honey bear” because their diet is honey and honeycombs. They reached their hands towards us like they were saying a big good bye. Hello! 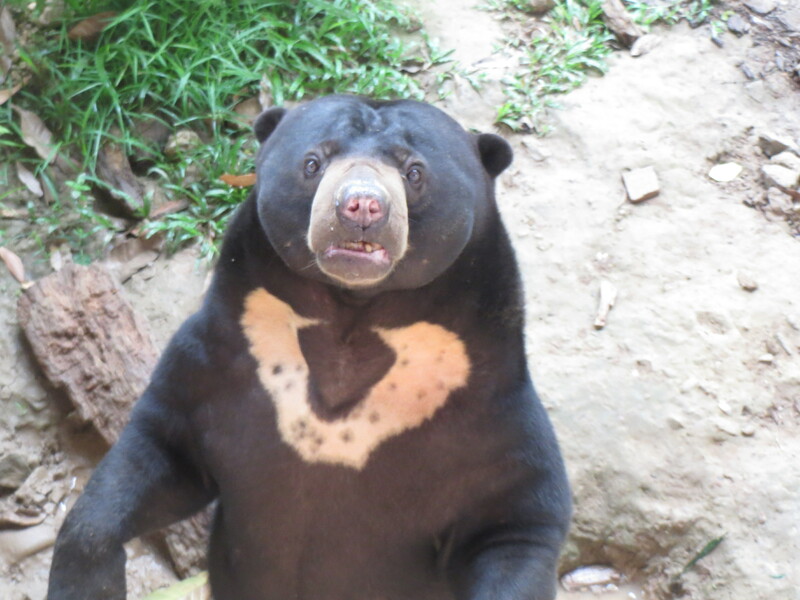 My name is Benny the Sun Bear! Nice to meet you! Yummm! This snack is good! 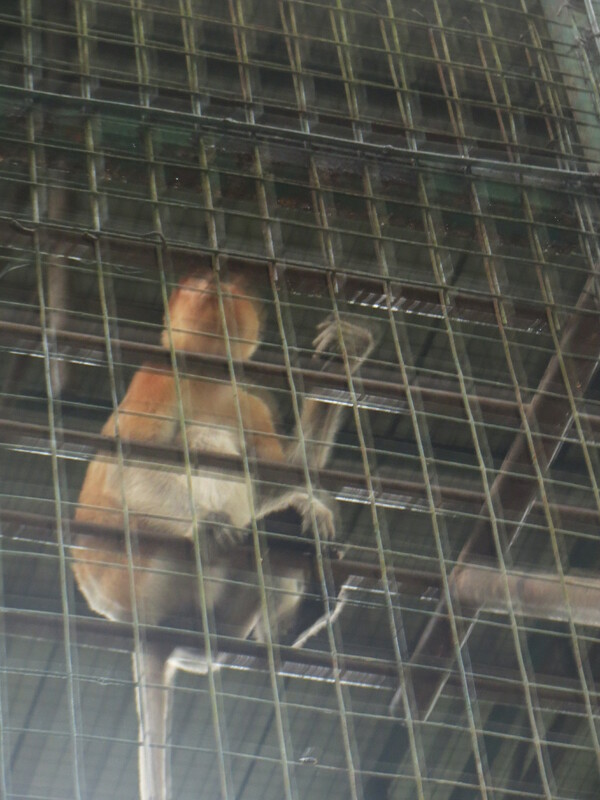 We waved farewell to the Orang-utans, and made our way to the Proboscis monkey cage where all the monkeys were eating their snack. All of a sudden, one monkey said something to another monkey and both of them started squabbling at each other and running around the cage like they both had a big bottle of Mountain Dew. Chaos began between the Proboscis monkeys. Fortunately, they calmed down and went back to eating their snack. 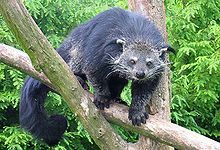 We fixed our eyes to the Bearcats also known as “Binturong” in Malay. It has the fur of a bear and claws of a cat. 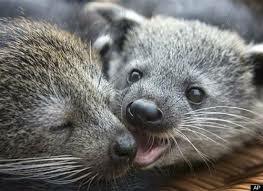 Bearcats are very friendly and loving. They crawled and climbed on the cage, and they were very excited to see us. They looked like they could climb for hours and hours. I have never seen any animal like that, and had no idea that this incredible animal existed. The saddest thing I learned from this trip to Kota Kinabalu, Borneo, is that these animals are coming close to extinction because of deforestation and poaching. Sun bears, Malayan tigers, Orangutans and Proboscis monkeys are all animals that are close to extinction. For example, poachers sell baby orangutans as pets to people in Malaysia. That is not a good way to help the environment or protect our ecosystem. I feel that as people take over the planet, they forget that they share it with animals who can do nothing to stop their home from being destroyed or being turned into big developments or factories. We should all take care of the earth and the animals that share it with us.